Black tread with amber gum wall. Shallow block tread. I am trying to revive a Chelsea Capital folder. 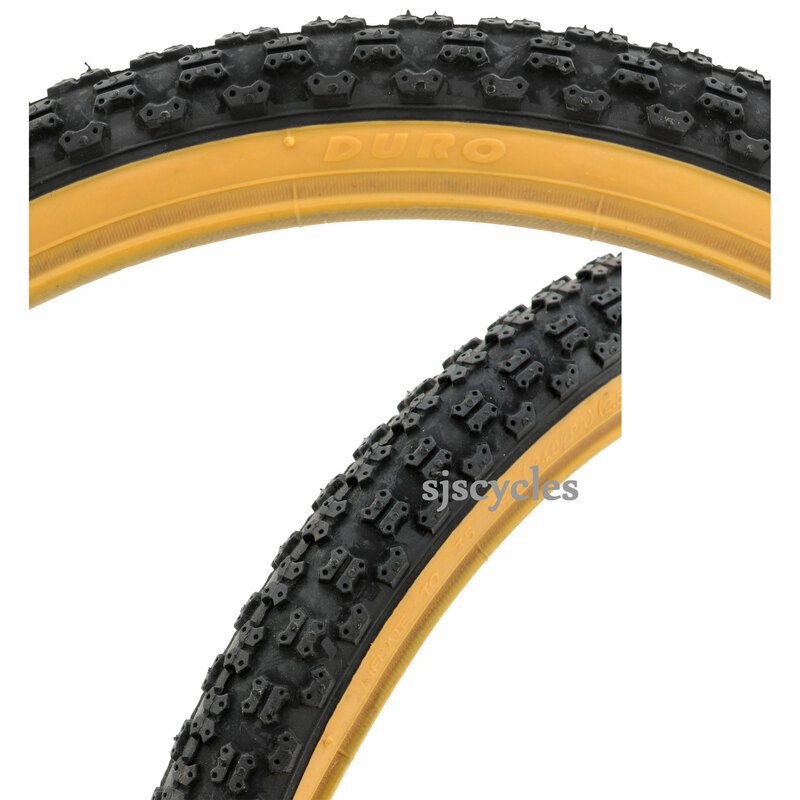 These tyres look very similar to the 7 Stars that came with the bike but the running pressure is very low. Will these tyres support an adult? As you say 35psi is pretty low for an adult, for a tyre of this size I would say they are probably more suitable fore a child.